On Wednesday 14th June 2017, the utter devastation by fire of the high-rise block of ‘council’ flats in London named Grenfell Tower resulted in the tragic deaths of approximately 80 people. The ongoing Scotland Yard investigation into the Grenfell fire disaster has said there are “reasonable grounds” to suspect the council and the organisation that managed the tower block of corporate manslaughter. The two organisations under suspicion are the Royal Borough of Kensington and Chelsea and the Kensington and Chelsea Tenant Management Organisation. For any company, protecting the health and safety of employees or members of the public who may be affected by its activities is an essential part of risk management and must be led by the company board. Failure to comply with these requirements can have serious consequences – for both organisations and individuals. Sanctions include fines, imprisonment and disqualification. The maximum penalty is an unlimited fine and the courts can additionally issue a publicity order requiring the organisation to publish details of its conviction and fine – with devastating consequences in terms of bad publicity. Labour MP David Lammy has spoken out about the Grenfell fire being “corporate manslaughter” with calls for arrests to be made over the disaster. The Tottenham MP described the fire as an “outrage”, stating: “This is the richest borough in our country treating its citizens in this way. We should call it what it is, it’s corporate manslaughter, that’s what it is and there should be arrests made, frankly,” he explained, without referring to any individuals specifically. The law on corporate manslaughter would require any prosecution to prove that there was a gross breach of a relevant duty of care owed to those who died. Amounts to a gross breach of a relevant duty owed to the deceased. Whilst the Corporate Manslaughter and Corporate Homicide Act 2007 only applies to organisations, individuals such as directors and senior managers can still be individually prosecuted under common law for gross negligence manslaughter and a variety of health and safety offences. Prosecutions under the Corporate Manslaughter and Corporate Homicide Act 2007 have been on the increase since 2011. According to the Crown Prosecution Service, some of the larger fines levied included Baldwin’s Crane Hire Ltd in 2015 – fined £700,000 and CAV Aerospace fined £600,000 in the same year (1). Companies have been open to manslaughter proceedings since 1965. Until then, English law abided by the principle laid out by a 17th century judge, who deemed, “companies have a soul to damn, but no body to kick”. The Herald of Free Enterprise was one of the most infamous corporate manslaughter cases that came to trial during the late 1980s. In 1987, the Herald of Free Enterprise – a Townsend Thoresen car ferry owned by European Ferries, which later became part of P&O European Ferries – capsized off the Belgian coast. 193 lives were lost after the bow doors of the ferry failed to close and the car deck was flooded. An inquest jury returned verdicts of unlawful killing in 187 cases. However, the corporate manslaughter case failed because the various acts of negligence could not be attributed to any individual who was a ‘controlling mind’. The Clapham rail disaster was Britain’s worst rail disaster and claimed 35 lives after three trains collided on December 12, 1988. The British Rail Board admitted liability for the accident, which was attributed to careless work by signal engineers. As the board was responsible under the ‘vicarious liability’ principle, it paid compensation reaching £1m in some cases, though no one was individually prosecuted for manslaughter. In Scotland in 2003, the Appeal Court in Edinburgh rejected a charge against the gas pipeline company Transco. The charge was ‘culpable homicide’ (the Scottish equivalent of the law in England, now known as ‘corporate homicide’) and resulted after the death of a family of four in Larkhall in 1999. Separate charges were brought under Sections 3 and 33 of the Health and Safety at Work Act 1974, and the company was fined a record £15m. In 2005, another rail disaster at Hatfield resulted in executives of Network Rail and maintenance company Balfour Beatty being cleared of individual charges over the October 2000 Hatfield rail crash, which claimed four lives. However, after an eight-month Old Bailey trial in 2005, Balfour Beatty was fined £10m for breaching health and safety regulations (later reduced to £7.5m). Network Rail, which took over from Railtrack in 2002, was fined £3.5m. It is the responsibility of the police to investigate suspected cases of corporate manslaughter/homicide. The Crown Prosecution Service (England and Wales), the Crown Office and Procurator Fiscal Service (Scotland) and the Director of Public Prosecutions (Northern Ireland) will make prosecution decisions. Can directors, board members or other individuals be prosecuted? The offence is concerned with corporate liability and does not apply to directors or other individuals who have a senior role in the company or organisation. However, existing health and safety offences and gross negligence manslaughter applies to individuals. Prosecutions against individuals will be taken where there is sufficient evidence and it is in the public interest to do so. Corporate Manslaughter and the Corporate Homicide Act 2007 legislation meant that the companies’ insurance policies needed to be reviewed to consider the consequences arising out of the Act. Insurance can never replace the loss or injury to people; it can only protect the assets and liabilities of the company. Failure to protect the assets and liabilities could however leave directors open to legal action from shareholders in the event of a loss, which is uninsured. 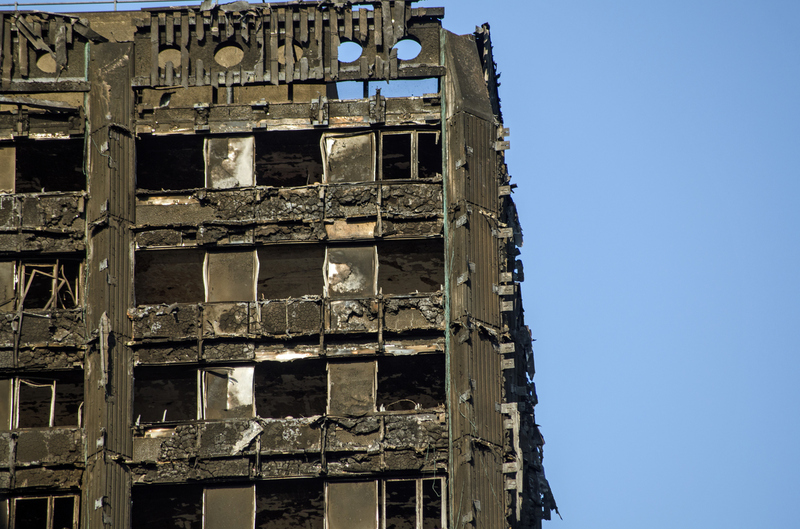 Since Grenfell, there have been a number of recommendations surrounding the infrastructure and materials used in the construction and repair of council properties. However, in the current economic climate, some local authorities claim that they do not have the funds to retro fit either heating, cladding or sprinklers. Amy also stated that apartment owners are often surprised to hear that most of the safety equipment can be fitted at nil cost and without any government funding. Since Grenfell, Syrus Energy is expanding its business and the company has established that as part of a nil cost communal heating upgrade, they can also fund the installation of an accredited sprinkler system to stop fires spreading if they do occur. According to the Health and Safety Executive, Mid and West Wales Fire and Rescue Service implemented a revised framework for health and safety. A newly appointed Health and Safety director made site visits to engage the workforce and placed renewed emphasis on the need to improve incident reporting, investigation and monitoring procedures. The service has since reported a reduction of £100,000 in its insurance liability premium (2). Tom Moor of Corporate Security Consultants (CSC) said: “Many organisations don’t consider the true effect of heath and safety on either its operations or its staff and, indeed, the importance it plays in work life. Health and safety is not there to restrict the work force or tie the hands of management. Instead, it is there to ensure that work, whatever it might be, is carried out in a safe and controlled way and ultimately that all staff go home in the same condition that they arrived to work in. On too many occasions CSC has seen companies blinded by day-to-day work, without seeing some very obvious risks. We would always recommend an external health and safety audit (in our opinion these are not ‘witch hunts’ but are there to help companies ensure that risks are identified and addressed)”. Andy Sinclair ACII of PIB Insurance brokers advised: “We recommend that companies consider purchasing a management liability policy to provide cover for Directors and Officers Liability, Employment Practices Liability and legal expenses. We offer policies that can provide up to £10,000,000 of cover. Personally, I would not accept a position without this cover being in place (if it was at all possible that people’s lives were potentially at risk as result of an error or wrong decision in whole or part by me). Cover costs from just a few hundred pounds and is a small price to pay when you consider the scale that legal costs alone can reach very quickly when defending an action – whether guilty or not. For more information or advice on corporate manslaughter insurance please contact peter@bespokerisksolutions.com on 01702 200222. We would be happy to arrange a free review of your existing cover. ← Our guide to being an Executor for a Will.